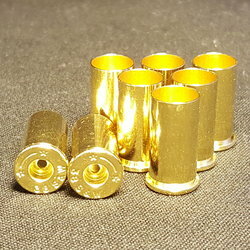 .40 SW Brass | DiamondKBrass.com | 500 Ct.
Diamond K Brass can only guarantee that the casings shipped will be of premium quality. However, we cannot possibly check every headstamp before shipping. Certain calibers may have a small amount of crimped primer pockets, which we will not be able to sort out. We try to send enough extra brass to make up for this. We apologize if this causes any inconvenience. 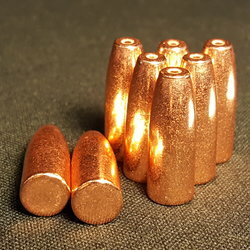 .40 CAL (.401) 180gr H-HP 250 ct.
.40SW/10MM CAL (.401) 180gr RN 500 ct.
.40SW/10MM CAL (.401) 200gr FP 500 ct.
Diamond K Brass offers a wide range of choices in once fired/reloadable handgun and pistol brass, and one of our most popular rounds is the 40S&W. 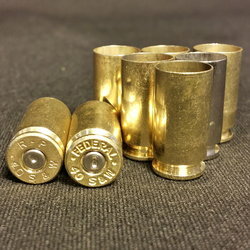 Our 40S&W is once fired with mixed head stamps including Winchester, Remington, Federal, and Magtech. Options for the 40S&W are non-processed, processed, nickel and polished. 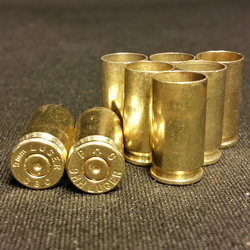 Diamond K Brass is proud to deliver a high quality reloading handgun brass at competitive prices. Our once fired brass is hand-sorted to check for any signs of damage before we package and send them to you. 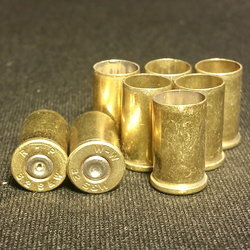 All of our brass is guaranteed, and we do ship 2% over the purchased amount. We always go the extra mile to ensure your complete satisfaction in ordering the 40S&W or any of the other calibers we have in stock. Interested in bulk purchases of the 40S&W? Commercial reloaders can contact us directly at 1-855-357-3030. 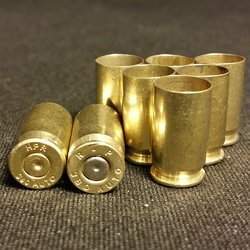 Whether you order .40 S&W brass or another caliber, we offer quick order fulfillment and shipping and do our best to make you a repeat customer. Shop our selection for all the calibers you need, as well as reloading tools and accessories, and stock up today!